We are Family owned & operated for over 30 yrs. Deal directly with owner/installer no middleman. We Warrant all our work. Reasonably priced and Professionally done. Don't Delay Call today. Serving Phila. and surrounding suburbs. Installing Vinyl and Alum Siding. Roofing, Capping, Bargeboards, Soffit Systems, Windows & Doors. We offer 24 hr emergency repairs for all your homes exterior needs. We are a fully qualified business. We have over 35 yrs. experience in Siding and all other exterior repairs. Let us help you for all your homes exterior needs. 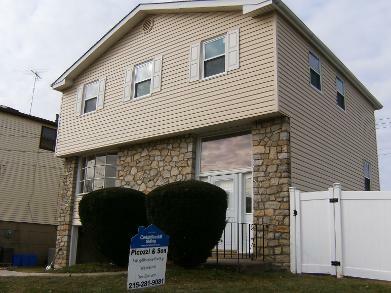 We also fully insured and licensed in Phila and A licensed Pennsylvania Home Improvement Contractor. We are reasonably priced for all repairs and new installs. We do it Right the First Time. A Family Business that you can trust.